Mockplus Year-End Promotion 2018! 30% Off All Plans! Blog > Inside Mockplus >Mockplus Year-End Promotion 2018! 30% Off All Plans! Year-End Promotion- the last promotion sales of the year! 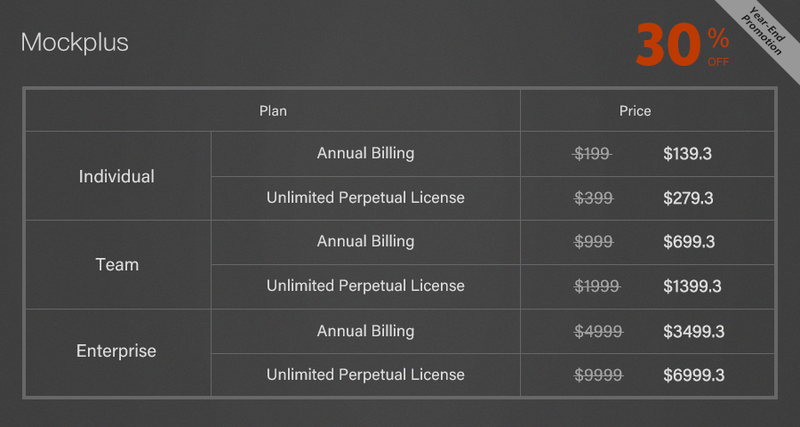 Subscribe to any of our plans and get a 30% discount. Hurry up for the limited time offer! 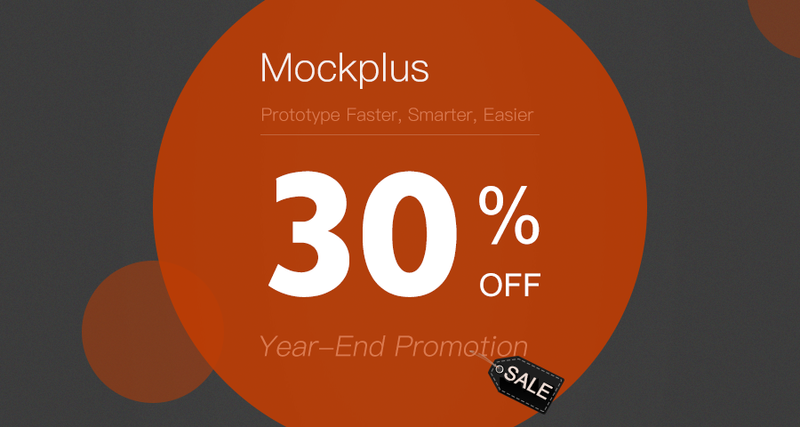 Buy Mockplus, Get Design Toolkits for FREE! $68 in Total! Where to Get the Discount and Toolkits? We will send you an email after your purchasing. The activation codes of these tools will be concluded. Please check your email box. Best UI/UX Design Tools for You! 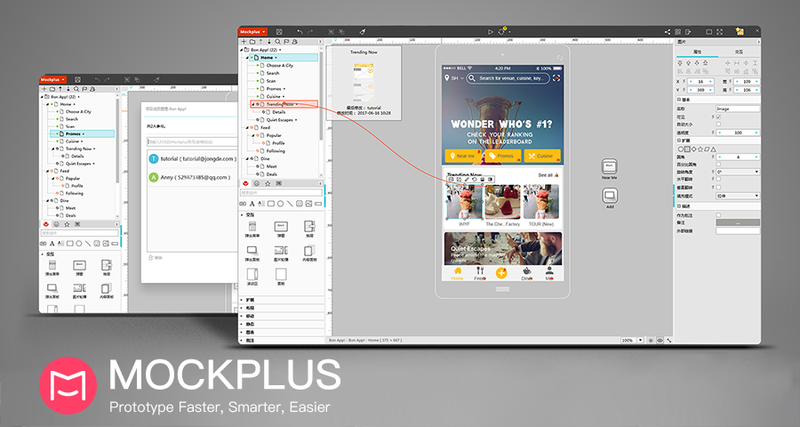 Mockplus is a faster and easier prototyping tool to help you make prototypes by making interactions with simple drag-and-drop and working on a team project easily and effortlessly. Microsoft, Oracle, Simens, IBM, UBI, Huawei and 300+ global colleges are using it, YOU SHOULD TOO! 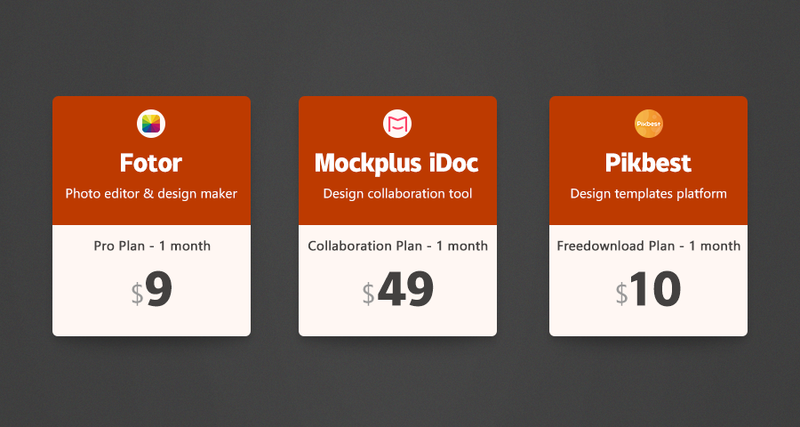 Mockplus iDoc is a powerful product design collaboration tool for designers and engineers. It helps connect the entire product design workflow. 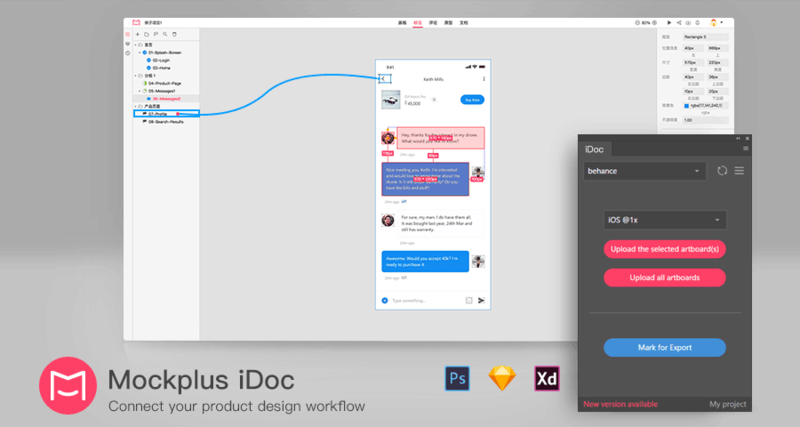 It facilitates handoff by taking designs from Sketch, Adobe XD, PS and exporting into a format that can generate code snippets, specs, and assets. Fotor is a one-stop visual content solution, powered by premium photo editing suite, patented HDR technologies and cloud features, enabling photo editing, collage and designing to take place easily. The magic online graphic design tools of Fotor give you the ability to design any form of graphics, with imagination as the guide. 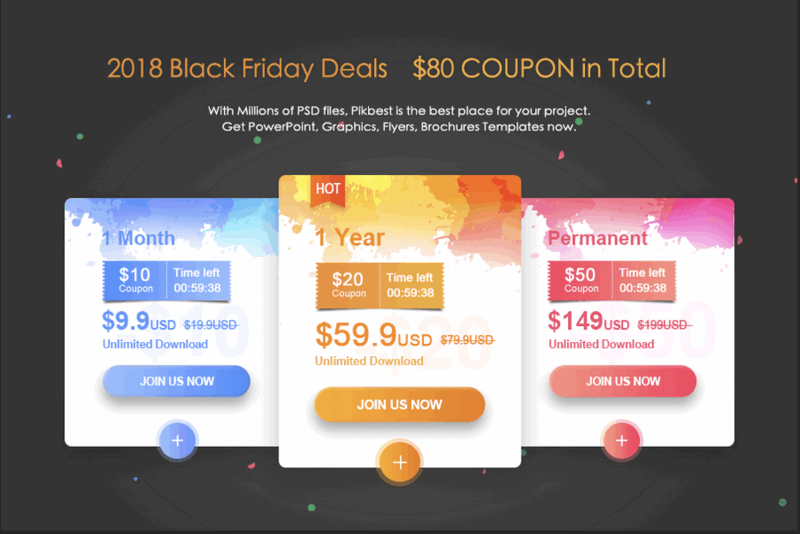 Pikbest is a creative design templates platform. We are trying our best to make graphic design easier than ever. Here you can find inspiration and download quality design works. Thousands of Posters, Invitations, Business cards, Brochures, illustration, PowerPoint Templates for creatives download. 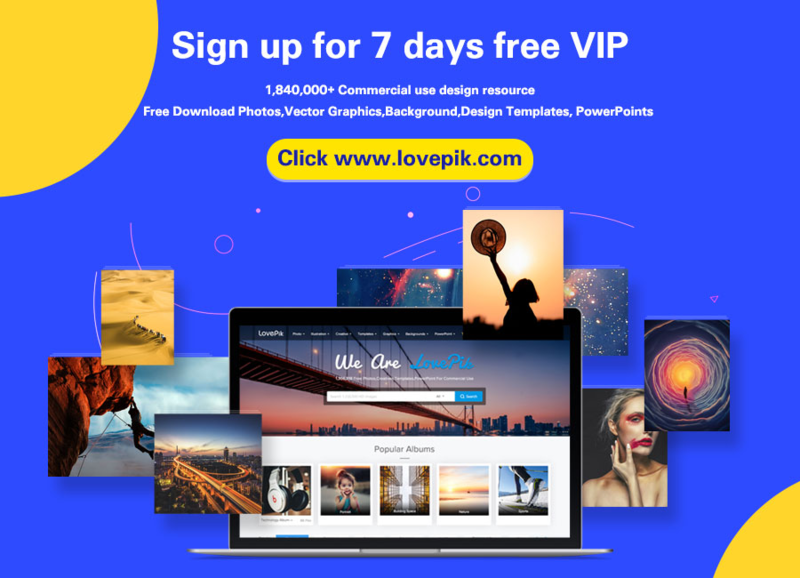 Lovepik is the world's leading commercial meager profit stock image library and design resource website, which meet the visual design requirements of individuals and enterprise. On our website, you can download stunning photos, illustrations, creatives, massive templates, even PowerPoints and more. Join us to start your design journey now!